Andy Segal takes you along on his journey inside the action packed, and high pressure world of modern day trick shots. 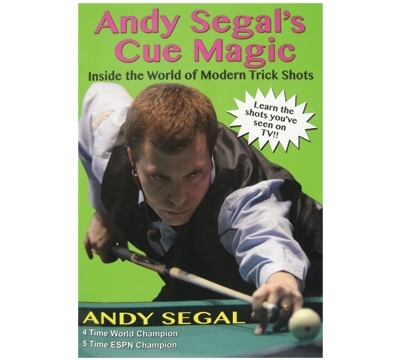 Andy Segal’s Cue Magic includes 121 of his favorite shots and is packed with perfect diagrams and photos revealing the tricks of his trade. You will learn how to set up shots, how to play them, and how to adjust for mistakes, just like the pros do. 236 pages.